Active adult community one buyer-must be 55+. No rentals allowed. This lovely Cangate 1 Model features 2 newly remodeled bathrooms, new granite counters in kitchen w/backsplash, new plantation shutters throughout main floor! Main floor laundry w/washer & dryer. Two car attached garage, partially finished basement. 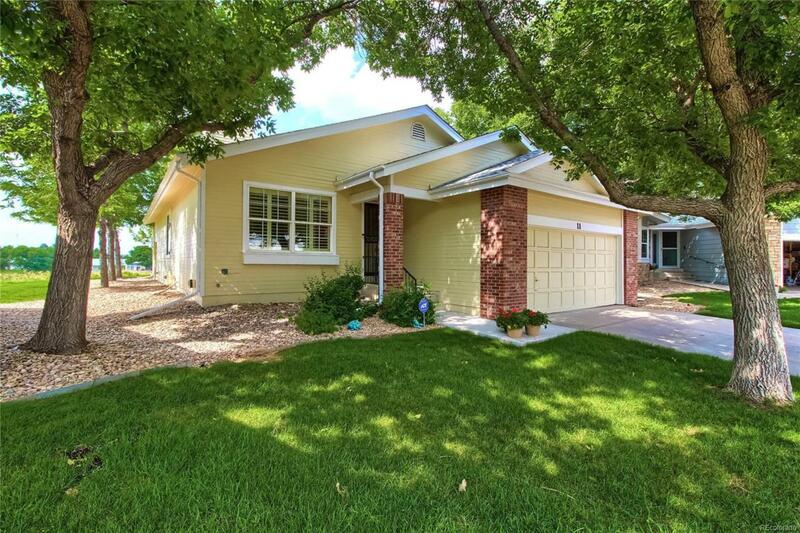 This patio home is on a low maintenance cul-de-sac, sunny with mature tall trees for shade. Eat in breakfast nook that walks out to shaded two year old trex deck!